Good quality. 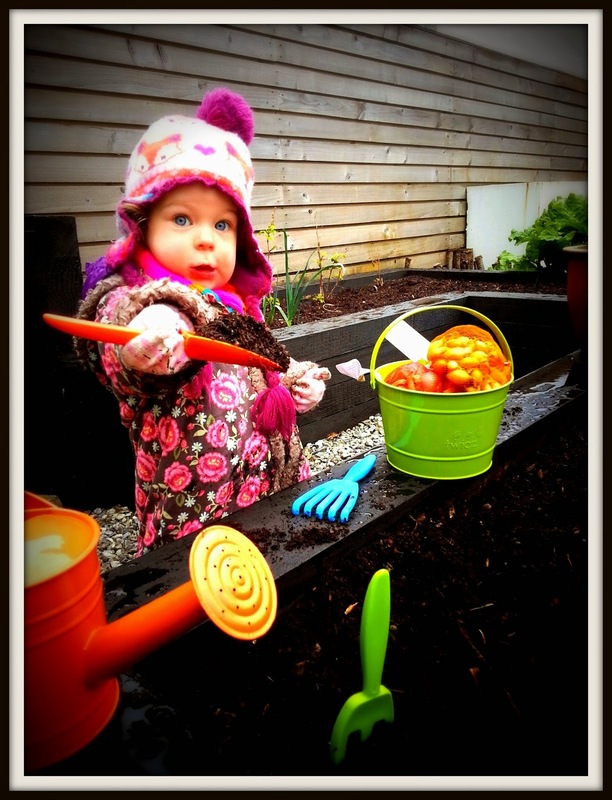 The tools need to be properly robust if they are going to survive the hard work us mini gardeners put them through. Good fit. Extra thought needs to be given to make sure the products fit children, are the right dimensions, feel comfortable etc. Look good. We may be gardeners but that doesn't mean we look any less cool when we are out in the veg patch! I love this bucket. First of all, it's a gorgeous green colour (like my fingers). It also comes in other funky colours. 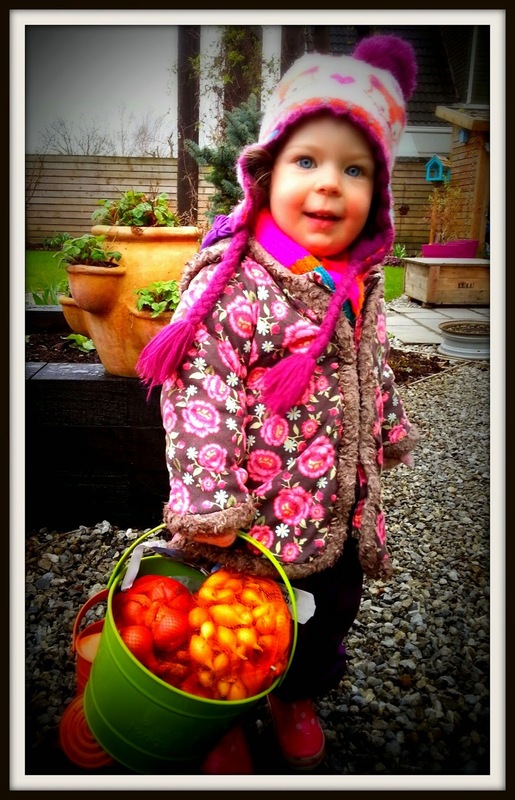 It's made from a really robust metal and is the perfect size for littlies like me to carry veg or fill with weeds. It's also not easy to knock over (I have tried!) Price is around £5.49. One of my favourite jobs in the garden is watering. 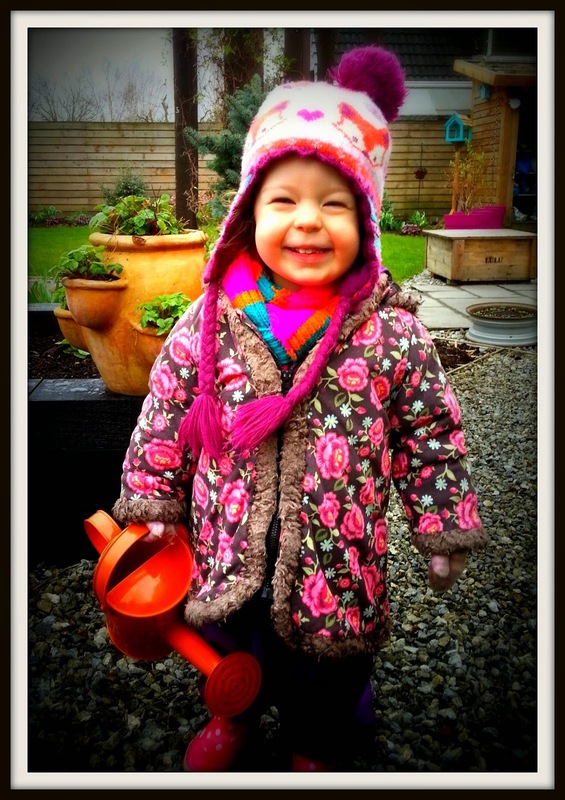 I love watering the greenhouse, the pots and especially my feet!This watering can is really sturdy and made from metal. It has two handles making it really easy to carry when it is full. 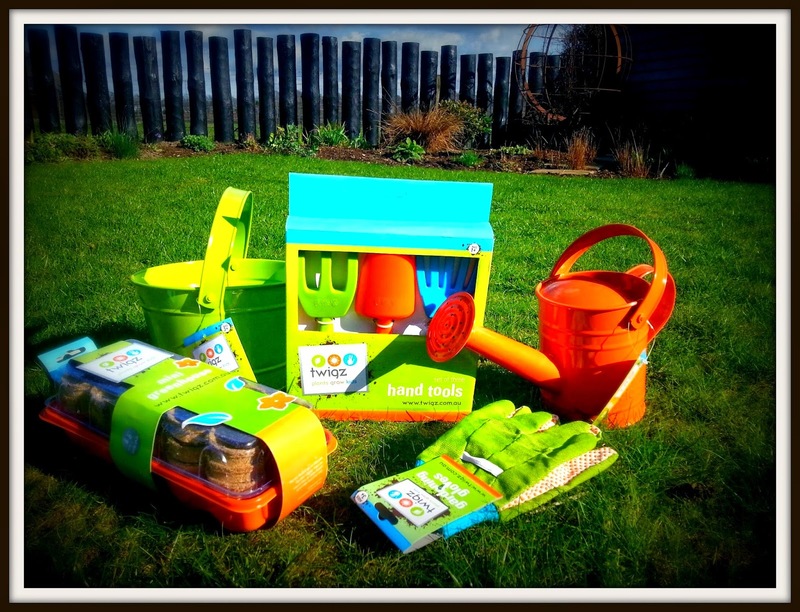 It has a rosette which can screw off if you wish and it holds 1.5 litres of water, a perfect amount for mini gardeners. And it comes in 4 funky colours - I have awesome orange! A good selection of hand tools is essential for any experienced gardener like myself. The clever people at Twigz have developed a set of 3 which includes a hand fork, a trowel (or spoon as I like to call it!) and hand rake. As with all the Twigz products they come in lovely, bright colours. They are also made from durable one piece plastic so they aren't going to break anytime soon. Price is around £7.99 for a set of 3. 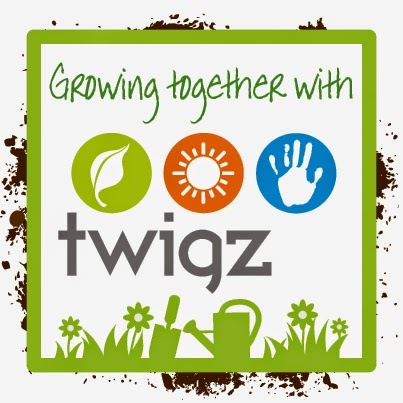 Regular readers will already be aware of this product from Twigz as i have already blogged about how to grow in one (how to grow plants that is, not how to make yourself a bit taller, silly!) 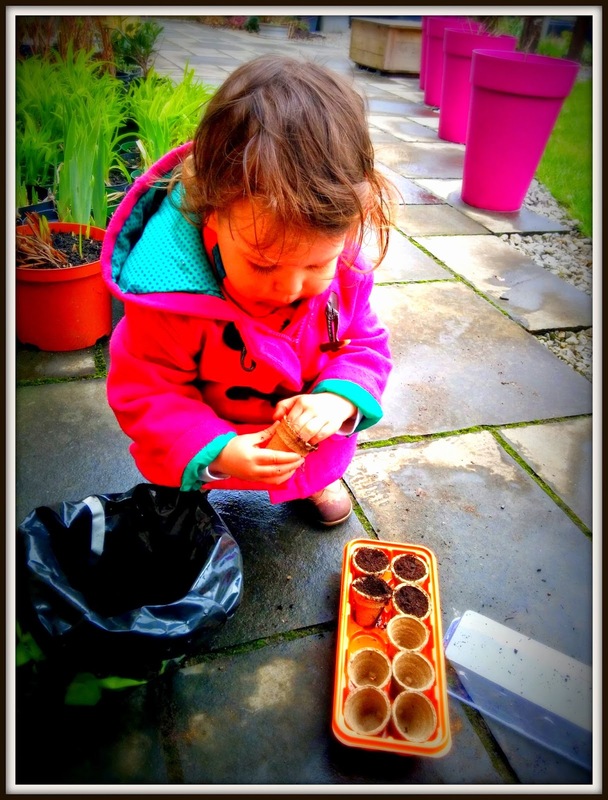 In your pack you get a tray, a lid and 30 little coir pots to plant in. 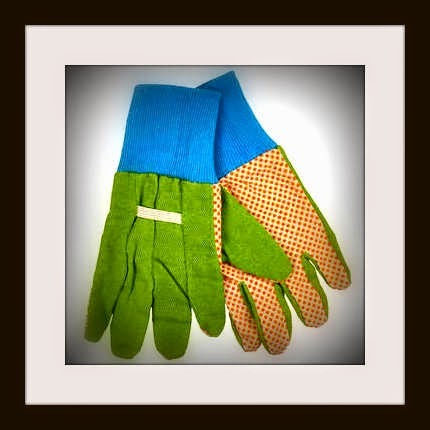 It comes in lovely orange and is perfect for growing seedlings on your window sill. I have grown lots of lovely vegetables and flowers in mine. Price is around £6.49. I was also sent a pair of gardening gloves. I can't really comment on these yet as my hands are so teeny they are too big for me. They look good quality and I will certainly get lots of wear from them when I am bigger. Gloves are around £3.49. So, I can conclusively say that Twigz garden equipment is brilliant and well worth the investment. I will be using mine for many years to come (if I can stop Mummy from stealing it that is!) Also, if you visit the Twigz web page you can sign up to their Kidz Club and get newsletters, birthday wishes and cool things just for members!